It is one of the biggest new features of Instagram: Insta Story. Insta Stories are awesome to share moments of the day with friends. They are also insane opportunities for brands and businesses to connect with their people. Basically, it is a Snapchat in Instagram. Insta Stories now have the super popular Snapchat filters (the dog, rainbow tongue and all). And a bunch of other cool new features. Here is a full list of all the core Insta Stories features. The only way to see if someone is using Insta Story is by checking the colorful circle around their profile photo. When the circle is colorful, it means they have a new Insta Story for you to check out. Their profile photo will also pop up on top of your home feed. All they need to do is tap on your face to see your Story. Insta Stories are ordered. You’ve probably seen all the circles on top of your home feed. They actually are ordered a certain way. Instagram’s system/algorithm tries to predict what you would like to see, then present it first. You can take a live photo or video. Or you can choose photos and videos from your camera roll. Only the photos and videos taken the last 24 hours will show. Boomerangs are fun, short videos that play forward and backward – endlessly. Boomerang is a separate Instagram app. But now you don’t need to go anywhere else to make Boomerangs. It’s available directly in your Stories. There’s no puppy face like on Snapchat. Instead, Insta Story lets you choose between 7 normal filters. Swipe left and right to see the different filters. Your text in Insta Story doesn’t have to be one color only. Don’t want to share a photo and just need a canvas for drawings or text? Then go to the drawing tool. Then place one finger on the photo (I find that my thumb does the job best). Hold it. Slowly drag your finger to the right then bottom. This trick might take practice. But once you get it, it’s a life-saver. Toggle the line that appears toward the top of the screen (to the max). This will make your marker huge. Now to make polka dots, just tap your finger on the photo wherever you want them to appear. Hold your finger on the screen to make an even bigger dot. Then just tap the screen. Perfect little stripes will appear on your photo. Curious to see who’s looking at your story? At the bottom of the screen will be a view counter and the names of the people who viewed your Story. Only you can see this information. Select “Hide Story From” [username]. When you’re adding text to a Story, you can also tag someone. You can tag up to 10 people. Just include the @ symbol followed by the username and that person will be tagged in your Story. The tag is a live link to the person’s profile. When you tag someone, they are alerted in Instagram Direct. If you mention someone who doesn’t follow you a notification will appear in their message requests. This feature is being tested with verified accounts only at the moment. If these accounts share a link you will see the “See More” button at the bottom of their Story screen. Tap “See More” at the bottoms of their Stories. Or swipe up to open the link. I will keep you updated if this feature becomes available to everyone else. Follow me on @preview.app. You can send a message to your friend directly from his/her Story. At the bottom left-hand corner of the screen you’ll see Send Message. This only works for people who have comments enabled. Tap the gear icon (iOS) or the three dots (Android) in the top right of your screen. After you create your Story, tap the Download button. It will save to your camera roll. A gallery with all of your recent photos will pop up. Tap on your snap and post as usual. Do you want to remove some people for your Insta Story feed? Are you trying to avoid certain people’s Story in the lineup? Mute them. Tap and hold on that person’s Story icon when it appears in your Story lineup. A window will pop up that will give you the option to mute [username]’s story. Note: Muting doesn’t hide the Story totally. It just moves it to the last of the lineup and the Story won’t automatically open while you’re playing Stories. You’ll need to manually unmute the person to get their stories back in the normal mix. Tap and hold on their Story icon and tap the unmute option. You can choose who gets to see your Stories and who doesn’t (like your mum, your ex, your enemy). Select your enemy from the list and tap Done. Your enemy will still be able to see your posts and profile, but won’t see that Story. That’s a lot of features! I’ve covered the most important features of Insta Story here. 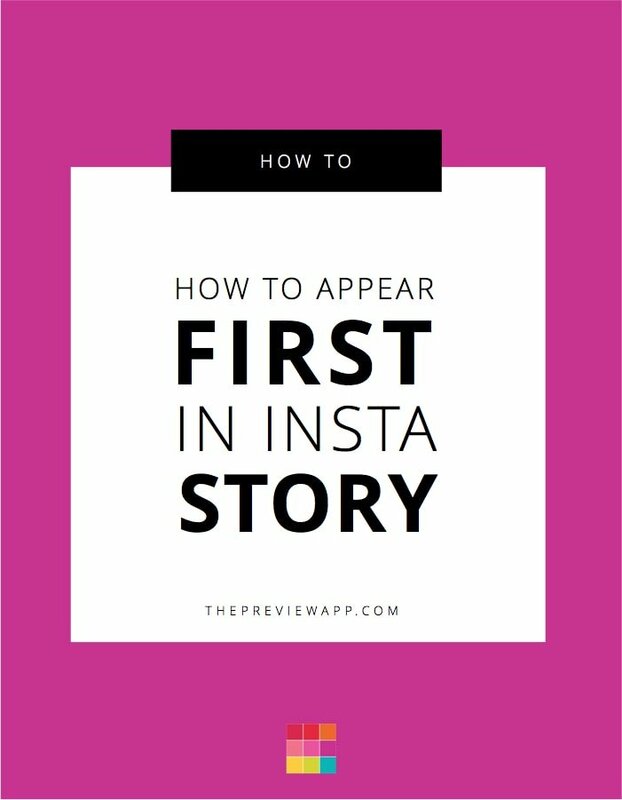 Don’t forget to check my other article on Insta Story features nobody talks about (like how to share old photos & videos). These are life-saving tricks for Instagram addicts. Until next time, see you on the gram!